Si Jobling on university lecturing | 12 Devs is back! If you’ve ever been through further or higher education, it’s highly likely you got to that crunch point – finding a job in the real world to practise and apply all that new knowledge you have found. Late last year, I was invited by an ex-colleague and good friend to talk at Coventry University about a range of topics. The students were at different stages of their degrees – some in software development, others in project management – but they all shared a common situation: the daunting prospect of working in the real world following a siloed introduction through education. Following several different approaches to the topics, I decided the most suitable angle was with a retrospective of my career so far. Some might think it was a bit of an egotistical view but it gave me an opportunity to reflect on the range of industries and clients I have worked with, the variety of methodologies applied and, more than anything, real world examples where I applied that knowledge gained through my own degree. I spent nearly two hours talking about the past decade I have spent as a web professional, reliving the highs and lows, comparing small agencies to internet startups, explaining the difference between providing services to local government and the competitive financial services. I feared the students were drifting off at points (only natural after 45 minutes of “lecturing”) but, when it came to an end, I was relieved to find a queue of students waiting to ask further questions from my experience. Amazingly, I had engaged with this crowd. Maybe some of the slides hit a nerve. Just maybe it gave the students confidence in finding their first gig. Heaven forbid, I might have actually provided a small insight into the industry. Whatever it was, I realised by just giving up a few hours of my day to a room full of students motivated them to join our – not industry – community. If you went through higher education, fearing that daunting tech industry at the end of it, instill some confidence in the next generation by returning to explain how you got through it all. You might be surprised how others perceive it. 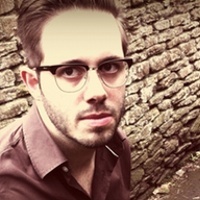 Si Jobling is a Senior UI Engineer at Asos.com following ten years working for the likes of Yahoo and UEFA. He is focused on simple user experience, applying modern technical patterns to real world scenarios including too many side projects to manage. Follow @Si on Twitter or visit sijobling.com for more.